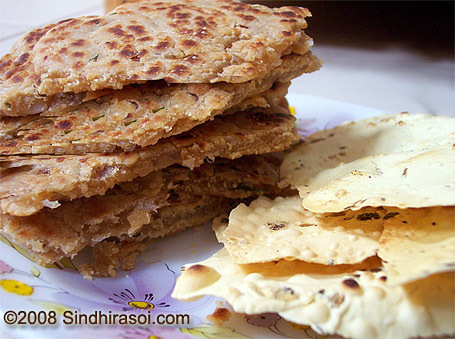 Koki, a typical sindhi flatbread, made by using wheat flour is my entry for Sri’s Rotimela. 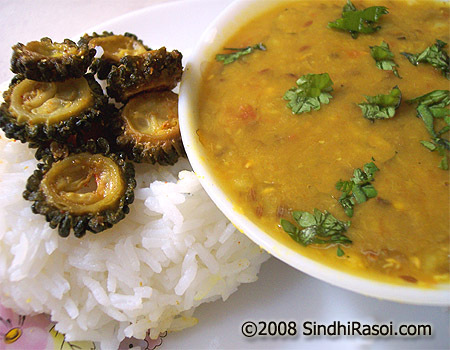 Sindhi Koki is very famous for its taste, texture and simple recipe with minimum ingredients, easily found in every kitchen.Goes well with almost every dal, vegetable, gravy dish, stir fries, with curd, papad , pickle or even just on its own. Mix well.Add some water and bring the dough together. Do not knead too much. The dough must be stiff. Divide the dough in 3-4 portions. Take each portion and roll with rolling pin just to flatten the roll. Place it on tawa again, cook on each side, on medium flame, adding little oil or ghee from sides till small brown patches appear on surface. 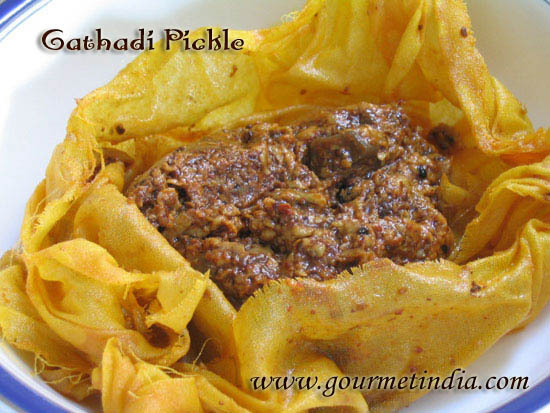 Serve hot with yogurt /pickle/ tea or Papad. It has a shelf life of about 24 hrs, so is ideal for picnics or while traveling long distances. This Recipe is updated on 4 January 2013!. This flour leaves a lot of water…. what to do in that case???? I want to serve kokis hot to my family but it is not possible as it becomes mess and I have to rol it again and again…. Hope u understand what I meant……. The dough has to b stiff.. Less water than u add to make chapatis..
KOKI is Home made fried Cookie for breakfast. Sindhis in Karachi earlier in GIANT India had been continuously in touch with Britishers and Mumbai people. They call potatoes – PATATA, tomatoes- TAMATA and similarly many other things, I think this KOKI is similarly Cookie but roasted on tawa with lot of ghee. It is highly energetic and good if you are going on long outing when you won’t get meals for long. It is very tasty and addictive to tongue. Beware don’t take it every day if you don’t exercise regularly. Too much of Ghee can cause obesity and other fat related problems. I am a sindhi and staying in UAE. I just got married and have no clue how to cook food. But this recipe is so easy that i m sure that i am definitely gonna try it. Sindhi recipes ka koi jawab nahi. I really miss my mom made kokis. even i am from dxb and my BF is sindhi.. i will definitely try this recipe for him…. n not just this one but all the other sindhi recipes i have never myself had sindhi food before.. this will b a good experience..
Nice recipes.I had a sindhi friend who used to tell me about Koki, and the side dish always used to be paneer.He also told me about cheti chand. Your recipes reminded me of him. Thanx. 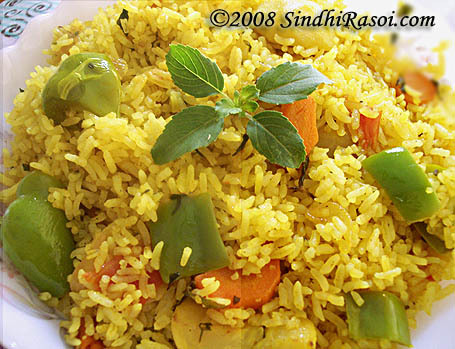 am a real fan of sindhi food!!!!! & was so glad to find so many recipes! I just love Indian food. Once i visited India along with my parents and the food culture there was really amazing and very diversified. Varied languages and food habits are India’s identity. There we enjoyed many food there like naan, aloo ka parantha, tandoori chicken etc. The picture is mouth watering. 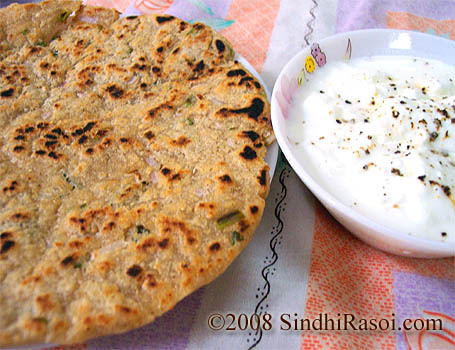 I would love to see the winter breakfast signature dish Gur jo bitto phulko. We the lower Sindh people call it Gurhaari. Well ,i had known sindhis around me calling koki to both type of flatbreads,be it one with salt and pepper or be it with onion ,coriander etc. I have heard many calling it loli too,so i guess it could be cultural variation or maybe we took it easy ,not bothering about what it is actually called. Hope u will enjoy coming back here! Thanks again! Love your site. hi alka, i liked your sindhi kadi and koki recipe,im a sindhi but new to cooking and am loving it learning this way through your blogs,your recipes are very lovely plus the comments and suggestions help in preventing mistakes people already have made. this is a pretty cool blog. nice detailed reciepes will show them to my mom to get inspiration from you. thanks for leaving a message at my mom’s blog. thnks a lot for ur concern and suggestion. So hopefully my blog will join u all there soon ! 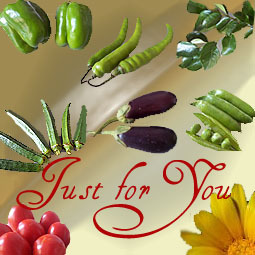 If I may suggest, why don’t you add your site feed to taste of india(http://connect.sailusfood.com/), run by the veteran blogger Sailu. which is an aggregator of indian food blogs, and would share your recipes with lots of other bloggers who I am sure would love to know them. I came across your website recently while searching for Sai bhaji to cook for my grand children and was delighted to find original Sindhi recipes. I stayed in Bombay in the 60s and 70sin a predominantly Sindhi neighbour hood and liked their food. The lotus stem recipes were new to me. I would love to make this bread. So we first make a small round put it on the tava, then roll and cook again. Just want to make sure.